These days, the bulk of the traffic to websites originates from devices other than desktops. A small portion of it is from laptops but the major portion is from mobile devices of various screen sizes. Gone are the days when businesses used to create separate desktop and mobile versions. In addition to being cost inefficient, maintaining two versions is a recipe for disaster. This is an important reason why frontend frameworks have become an essential part of the web developer toolkit. 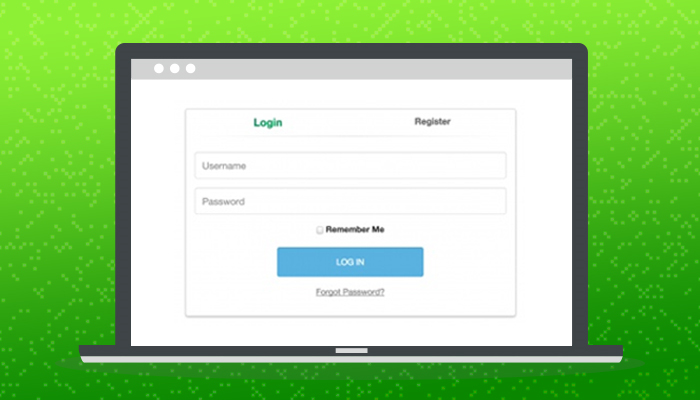 Login/signups are an essential component of all applications. 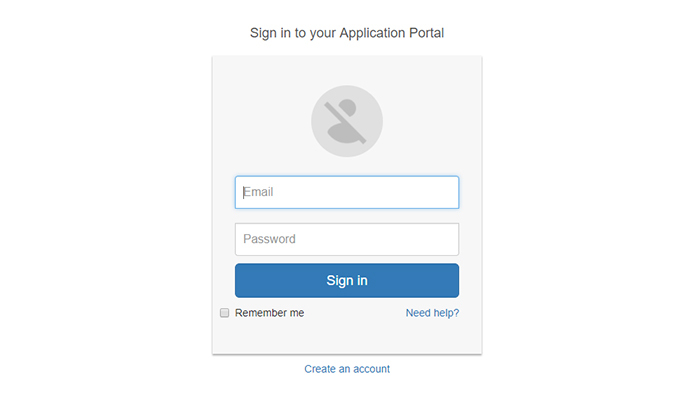 In many cases, these forms are often the first thing a user encounters. If the design of these forms is inadequate or inconsistent with the UI design of the rest of the app, the user will have a hard time using the app. 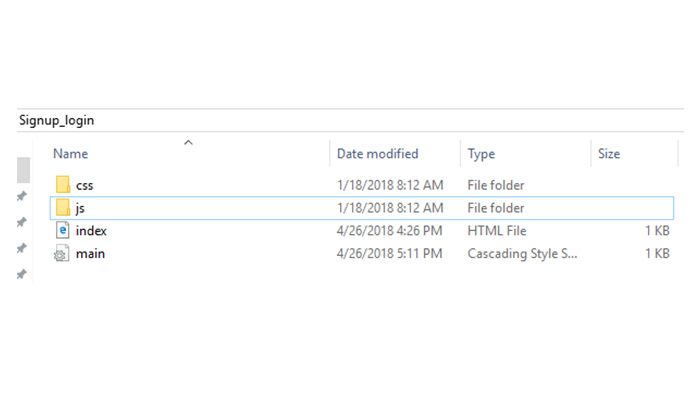 In this short tutorial, I will demonstrate how to create a Bootstrap based component for the app UI. I will start with the signup form because it is the first form a new user sees. I will then show the code for the login form for the app. A simple reason behind the Bootstrap’s popularity is the fact that it offers simple solutions for the common issues faced by the web developers. In many cases, Bootstrap is the ideal tool for creating headers and footers, responsive navbars, glyphicons and fonts, jumbotrons (banners), galleries, slideshows and other dynamic components. Several common use cases of using Bootstrap in frontend projects include building complex layouts on a 12-column grid, creating device-specific layouts (that focus on responsive design) and ensure cross-browser compatibility (testing to check if the code works in popular browsers including Chrome, Firefox and Edge). For the purpose of this tutorial, I assume that you have PHP powered stack (a LAMP stack would do)on your web server. To make sure that I don’t get sidetracked by server level issues, I decided to host my app on Cloudways PHP 7 hosting because it takes care of server and app setup and offers a powerful dev stack right out of the box. Content delivery networks (CDN) are files hosted on the web that you can include in your project. Using a CDN is the fastest way to setup Bootstrap within your project. The following screenshot shows how the above code would look in action. As you can see the form is very simple. The good thing is the easy extension of this form by adding/removing fields. For this, you could simply modify the HTML template. Bootstrap offers several classes to create beautiful and creative looking forms, button, and other UI elements. Here is how the signup form looks like after the custom CSS is applied. If your forms are part of a larger project, I recommend using the CSS for other screens of the app as the guideline for the custom CSS used with the form. 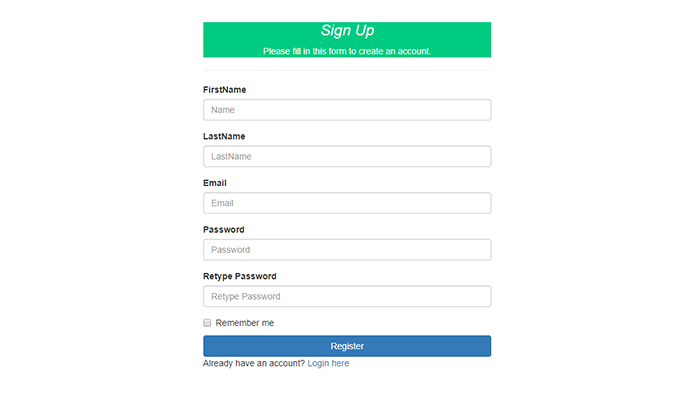 This short Bootstrap tutorial was about creating a simple signup/login form component. As you can see, Bootstrap makes it increadly easy to develop forms that easily fit the project’s requirements. To give finishing touches, I used custom CSS for styling the form. If you need help in understanding the code, do drop a comment below. Pardeep is a PHP Community Manager at Cloudways – A Managed PHP Hosting Platform. He loves to work on Open source platform, Frameworks and working on new ideas. You can email him at [email protected] Follow him on Twitter and LinkedIn.